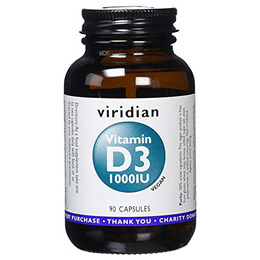 Viridian Vitamin D contributes to the maintenance of normal bones, teeth, muscle function and immune function. Vitamin D contributes to normal absorption/utilisation of calcium and phosphorus. Most commonly-available Vitamin D3 supplements are derived from the lanolin in sheep’s wool, however Viridian Nutrition`s Vitamin D3 is vegan and naturally-derived from lichen. Vitamin D3 (Vegan vitamin D3 extracted from Lichen) in a base of alfalfa, vegan capsule. As a food supplement, take one to two capsules daily with food, or as directed by your healthcare practitioner. 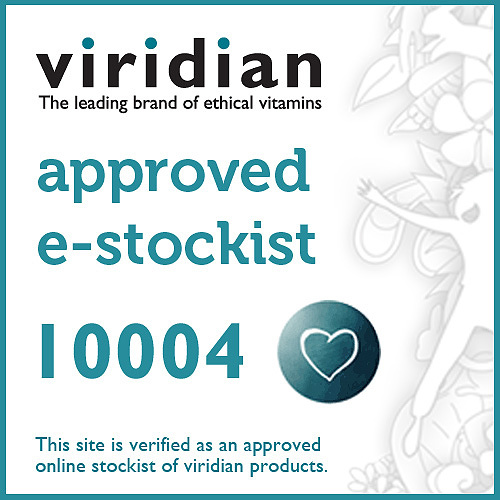 Below are reviews of Viridian Vegan Vitamin D3 1000iu - 90 Vegicaps by bodykind customers. If you have tried this product we'd love to hear what you think so please leave a review. Viridian Vitamin D contributes to the maintenance of normal bones, teeth, muscle function and immune function.